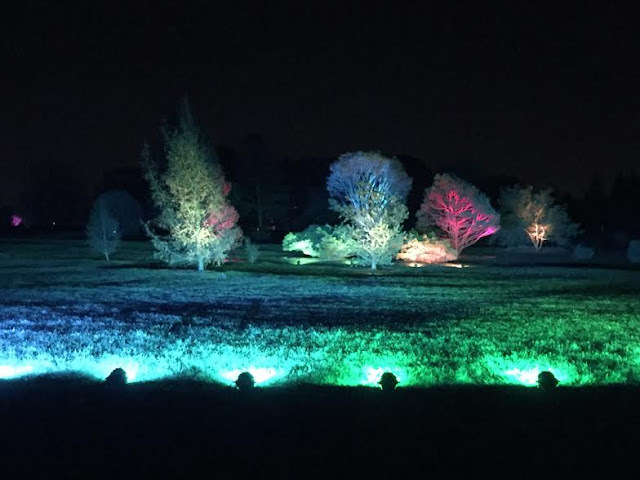 Illumination at The Morton Arboretum is an incredibly innovative light display that incorporates the nature at the arboretum, lights, music and movement. The event is quite magical and true encouragement to get out in nature on a winter evening. Now is a good time to plan ahead to visit because schedules certainly fill up quickly this time of year! We have been visiting Illumination for the past few years and find it incredibly unique -- a wonderful family tradition! In its fifth year, Illumination continues to meld new features with old favorites. New this year are pendants that will light up in sync with displays. These Illu-medallians will be available for purchase at the visitor center or reserved in advance when tickets are purchased. Illu-medallians will be usable during future Illumination displays. Also new will be timed tickets to help minimize crowding. Of course, many old favorites are back! 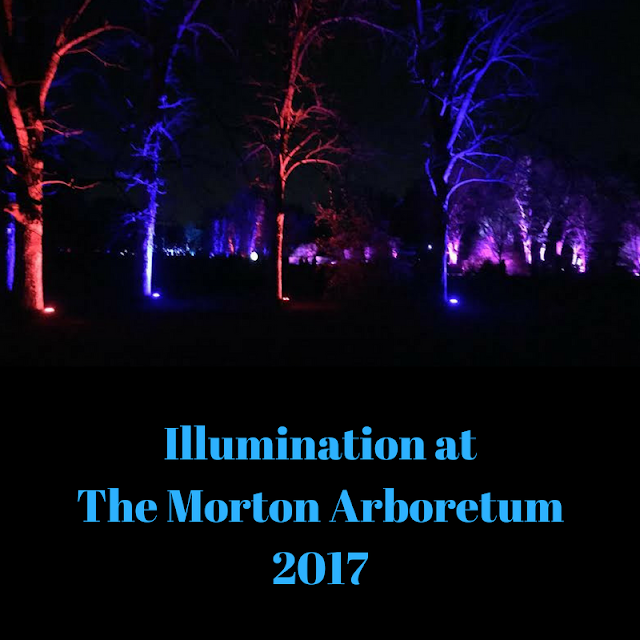 We have been exploring Illumination since its first year in 2013. One of my personal favorites that is back is Ornament Hill. It looks like a blanket of glistening snow sparkling with crystals! Also returning is Treeimagination where visitors see the trees "breathe." Pretty cool! 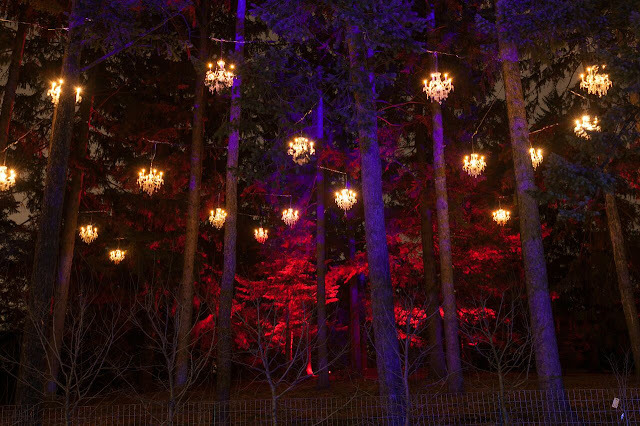 Fantasy Forest was also one of my favorites last year and is returning this year slightly redesigned. Can't wait to see the changes! In Fantasy Forest, illuminated beams stream up to the sky moving with music. Quite a show not to be missed! 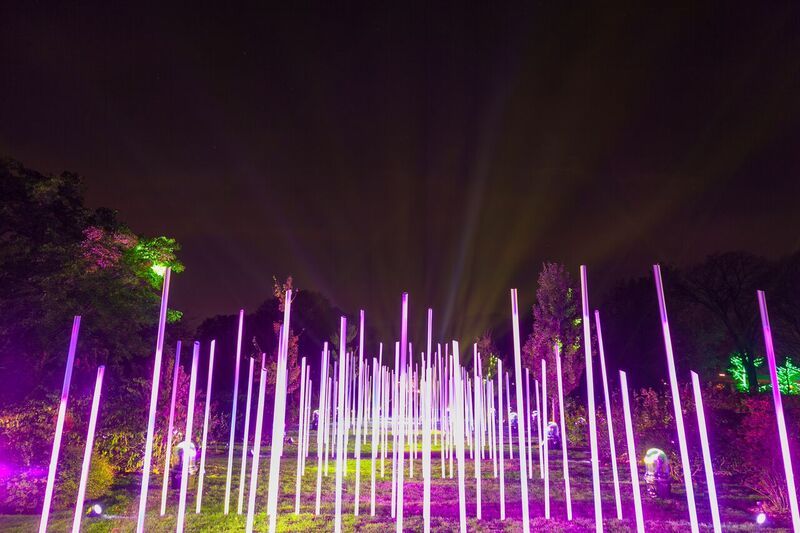 Don't miss the show at Fantasy Forest. Sometimes, it can be a little chilly when visiting Illumination. There will be three snack stations that will not only give you the opportunity to warm up but grab a cup of hot cocoa and more. Plus, there will be fires to warm up around. I also recommended entering with a thermos already full with hot cocoa for you to warm up while starting your adventure. 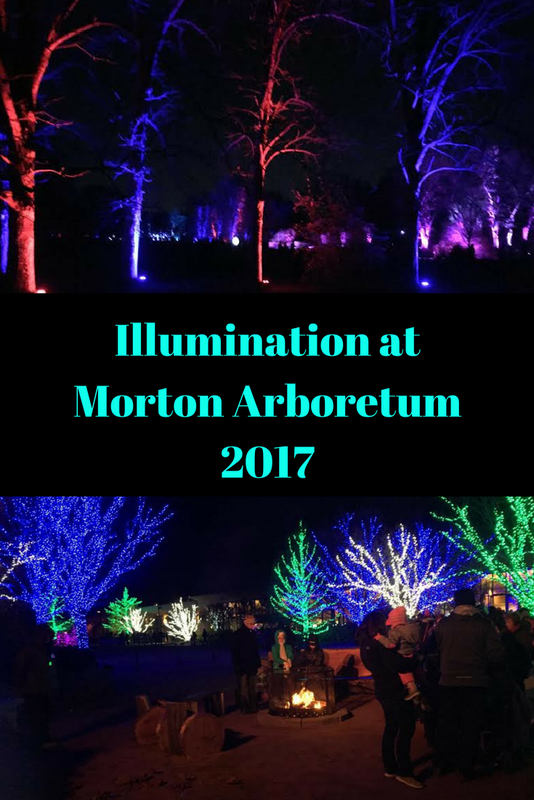 Illumination is a one-of-a-kind event and a great adventure for the holiday season! Here are some more details -- remember to plan ahead to assure your ticket time! Friday, November 17, 2017 through Monday, January 1, 2018​. 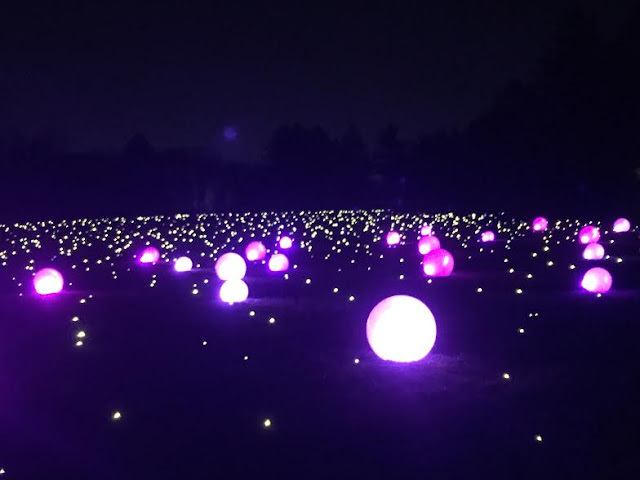 NOTE: Illumination is closed on Mondays, except for January 1. It is also closed on the following holidays: Thanksgiving Day (Thursday, November 23), Christmas Eve (Sunday, December 24), and Christmas Day (Monday, December 25). Music entertainment is featured on certain evenings. Check website for more info. Children under the age of two are admitted to Illumination for free. No ticket is necessary. **Disclosure: I will be receiving complimentary tickets in order to bring you a review of Illumination. No other compensation was received. All opinions are 100% my own.